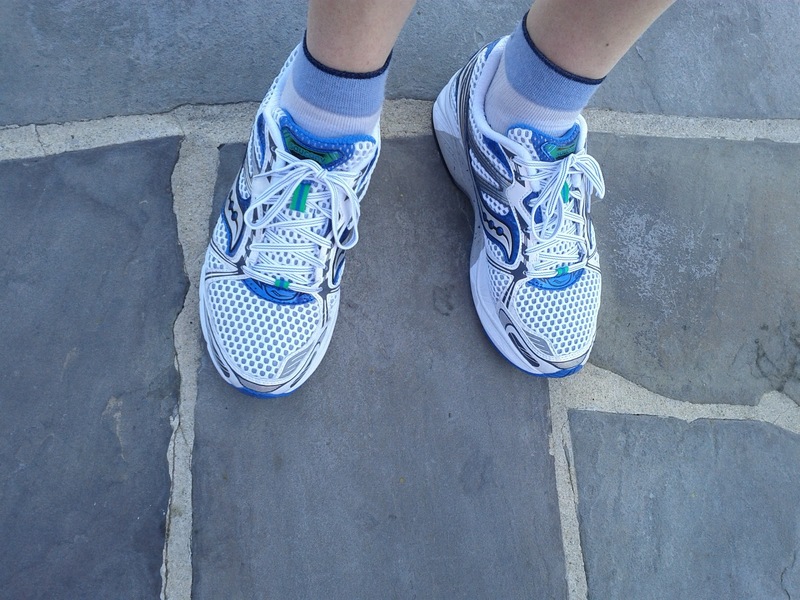 This was a cutback week in my marathon training plan. Last weekend was my second to last long run before Seattle, 20 miles. This week was pretty low key and I dialed the mileage back quite a bit. Here we go. 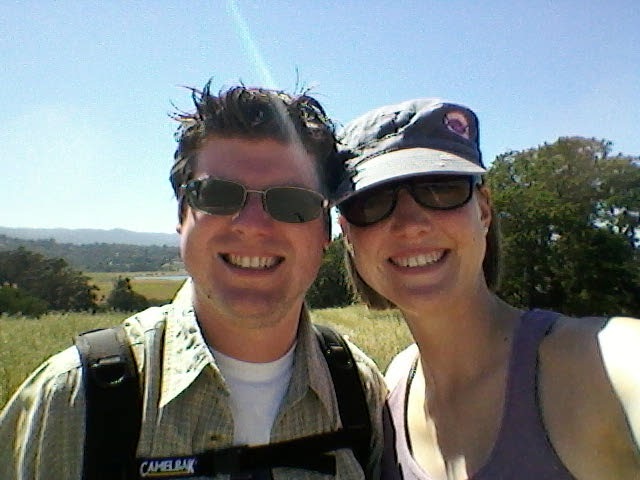 I didn't feel like sitting around the house, so Kev and I headed to Arastradero Preserve for an easy hike. 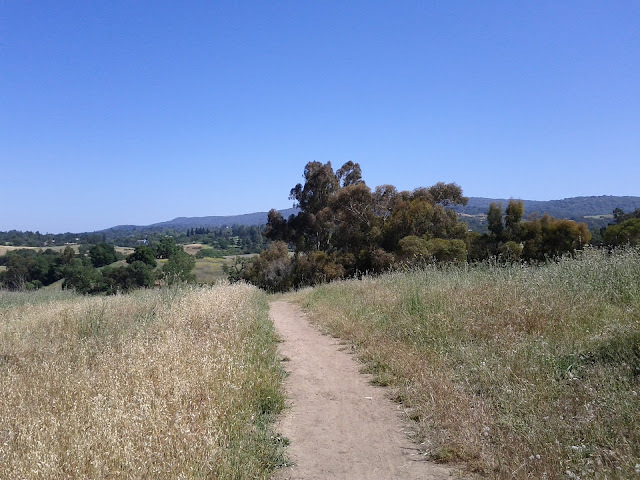 We followed the trails up and down the hills, enjoying the views and our time outside. 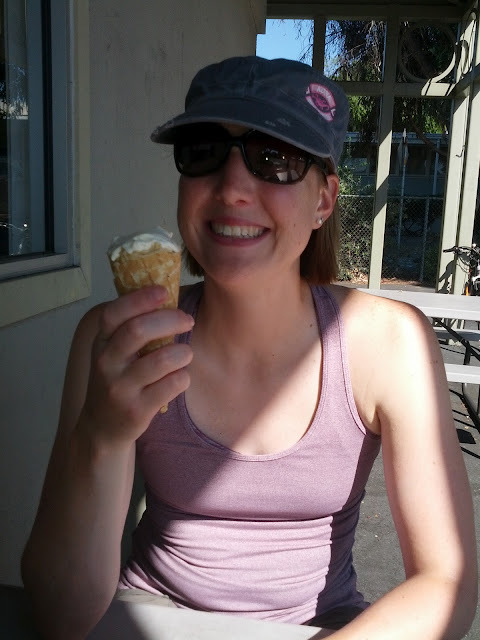 Boy, was it hot though, and a great day to grab ice cream. Which of course, we did. Waffle cone with 'Birthday Cake' ice cream! Rest - Depending on how the long run went that weekend, I sometimes like to take two rest days in a cutback week. Sunday wasn't completely a rest day because we did a few miles of hiking, but it was still an easy day. My legs felt terrible on this run, the lower legs are logs feeling. It was hard to pick them up. I kept going and felt much better by the end of the run, although still not a good run day overall. Again, love this class! Our normal instructor is a pro road bike racer, and she was off in Iowa this week for an event. We had a sub who made the class different, incorporating quite a bit of arm work. Another run where my lower legs felt heavy at first. I warmed up more quickly and felt good by the end. In an exciting turn of events, my workplace had an event to test Saucony shoes and to taste Clif bar products! 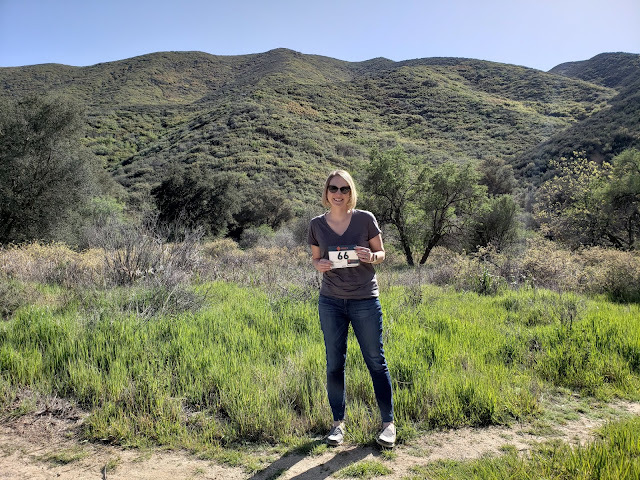 I stopped by the event to test shoes while out on my run, specifically the Guide 5 and Hurricane 14. Both felt great, although the Saucony rep recommended the Hurricane for my gait. I haven't purchased it but might check it out - the 8mm drop was a nice change. This was going to be a rest day before the 10K race, but a friend invited me on a run and I really wanted to go. We ran along the Los Gatos Creek Trail, a beautiful place to run in South Bay. We didn't have a specific distance in mind and just enjoyed ourselves. The perfect start to the weekend. And now, the announcement you have been waiting for! Kevin and I visited a litter of kittens on Sunday, and we will be brining home a sweet girl kitten at the end of June! Her name is Willow, and she stole our hearts as soon as we walked into the room. I can't wait to bring her home, but she's still very young and not weened from her mama yet. Soon, soon. Aaaah cutest kitten ever!!! How exciting! She's so fuzzy! Good going on the running...! (and the 10k). What's with the shoe testing (you lucky ducky!!) ? Awwww, Willow is soooo cute! Awww... Willow looks like SUCH a sweetie. Very cool.... love the new shoes AND the new kitty. Willow is sooooo cute!!!! Now I want a kitten, but our 14 year old cat would probably NOT be pleased. I'm so excited to get her! I have a 10 year old cat so we'll see...he was used to having a sister but she passed away about a year ago. He seems lonely!